Theo is nine years of age. He was born with a rare unbalanced chromosome rearrangement, talipes (clubfoot) and a VSD (hole in heart). 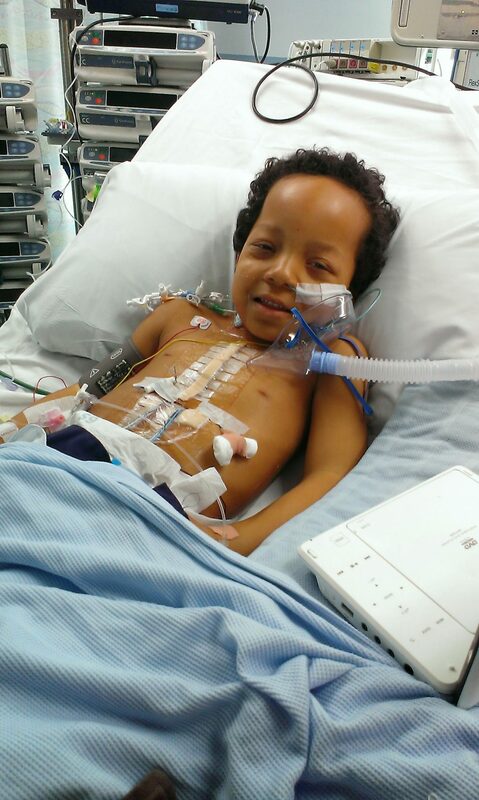 He spent the first part of his life in and out of hospital, and he had numerous operations including open heart surgery on his 6th birthday to close the hole in his heart as this was causing the aorta valve to leak. Theo now lives with regurgitation of the aortic valve. When Theo was three months old his left leg was put into a plaster cast, this process is called the Ponseti method and is a manipulative technique that corrects congenital clubfoot without invasive surgery. After numerous weeks of having the cast removed and replaced on a weekly basis at the hospital, Theo was then placed into booties and a bar for a further 12 weeks, this had to stay on for 23 hours a day and then worn at night until Theo was four years of age. Theo had an operation on his Achilles tendon in 2015 and still wears an AFO (Ankle Foot Orthoses) support daily. Theo started taekwondo in spring 2014 at his primary school as his coach, Mike Pejic, came into the school and coached the younger pupils in a Taetots programme, Theo was five years old, and he fell in love with Taekwondo at this point. Theo gained his yellow belt in November 2016 and his most recent belt, blue, in March 2018. He regularly talks about wanting to be a ‘Dan’. Theo trains for a total of 3.5 hours a week at Pejic Taekwondo Academy, Chesterton, Newcastle-under-Lyme. Over the years Theo has suffered from high anxiety, he likes his routines and is unable to manage his emotions appropriately, but in taekwondo none of this shows, he does not worry or stress about gradings or taking part in competitions. It is what he loves to do and is so happy when performing his Poomsae patterns. 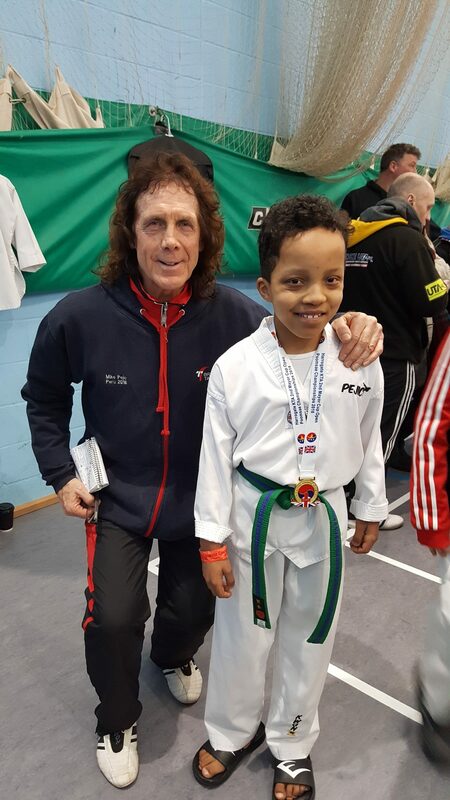 Theo entered his very first competition, at a week’s notice, at the Poomsae National Championships in Nottingham in December 2017 and won Silver. His second competition was in Harrogate at the KTA 2nd Mayor Cup Open Poomsae Championships 2018 and won Gold. Theo is looking forward to competing in London in July 2018 at the British Taekwondo International Championships 2018. 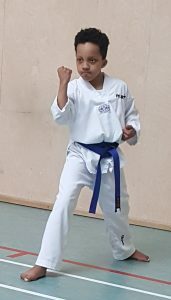 Theo was selected for the GB National Para-Poomsae Squad 2018 in March 2018 under the P20 category, another fantastic achievement within such a short period. On 30th May 2018 Theo was presented with a Special Achievement Award by Newcastle-under-Lyme Borough Council for his hard work and dedication to his favourite sport.